I had a bit of a baking marathon last weekend. Mostly because Kiwi and I really wanted a pork pie and watching the latest series of the Great British Bakeoff has got my fingers itching to make some new cakes. First up I finally got around to making some pork pies, I’ve not really used hot water crust pastry before, and it was surprisingly easy to work with, although in hindsight I would have kneaded it for longer. 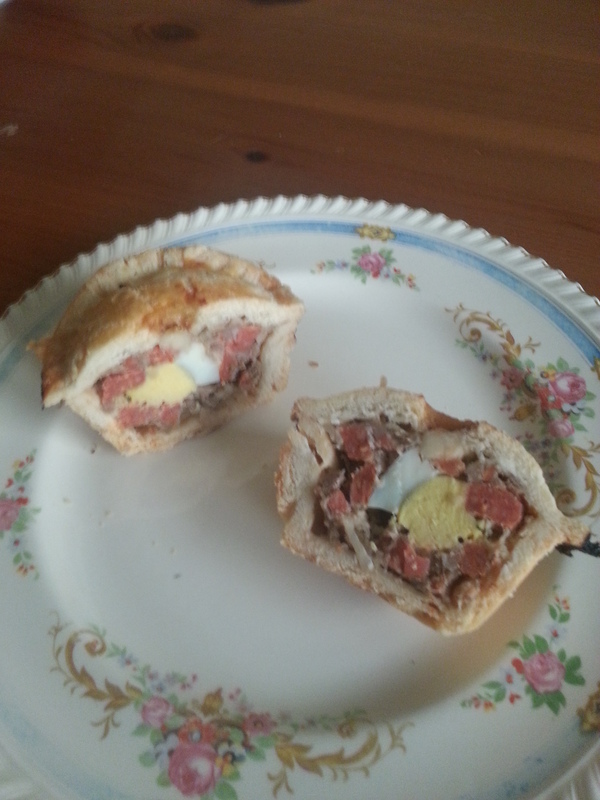 I used Paul Hollywood’s recipe, and found it rather successful! I swapped bacon for choritzo, and used cut up normal eggs instead of quails eggs, because who has quails eggs lying around?! It took me a while to find some lard in the supermarket – it was with oils and shortening, whereas I had been looking next to the butter! I doubled the recipe and found it relatively simple to follow. The pies turned out pretty tasty and didn’t last all that long. 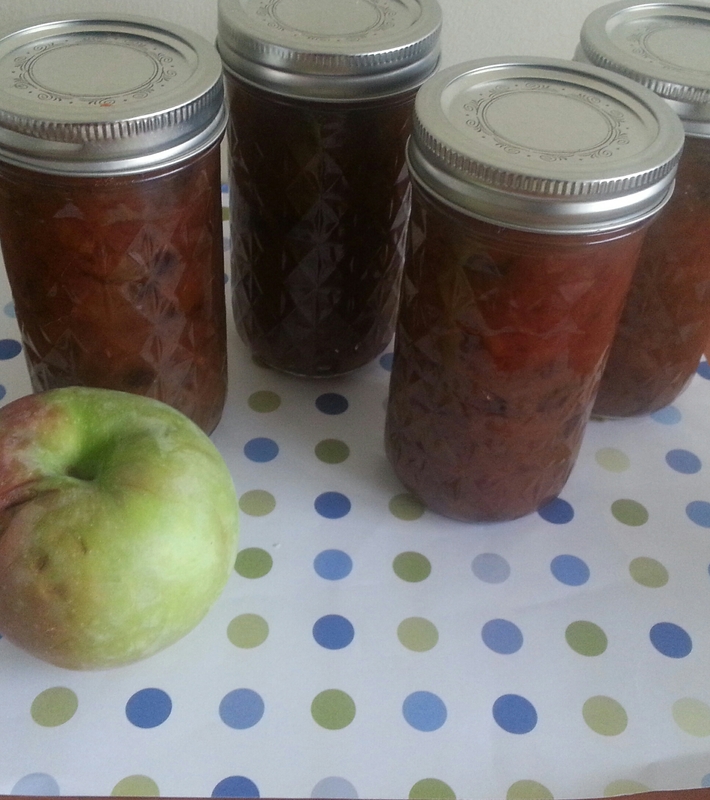 I also used up all of the apples I had picked last week, and made 6 jars of apple chutney. I thought I’d use a recipe form the Edmond’s cook book (recipe below), which although quite sweet tasted good, and will go well with cheese and a ploughman’s lunch. Lastly I intended to make some pear butter with the extra pears I picked, I still intend to, but instead I made lemon curd. 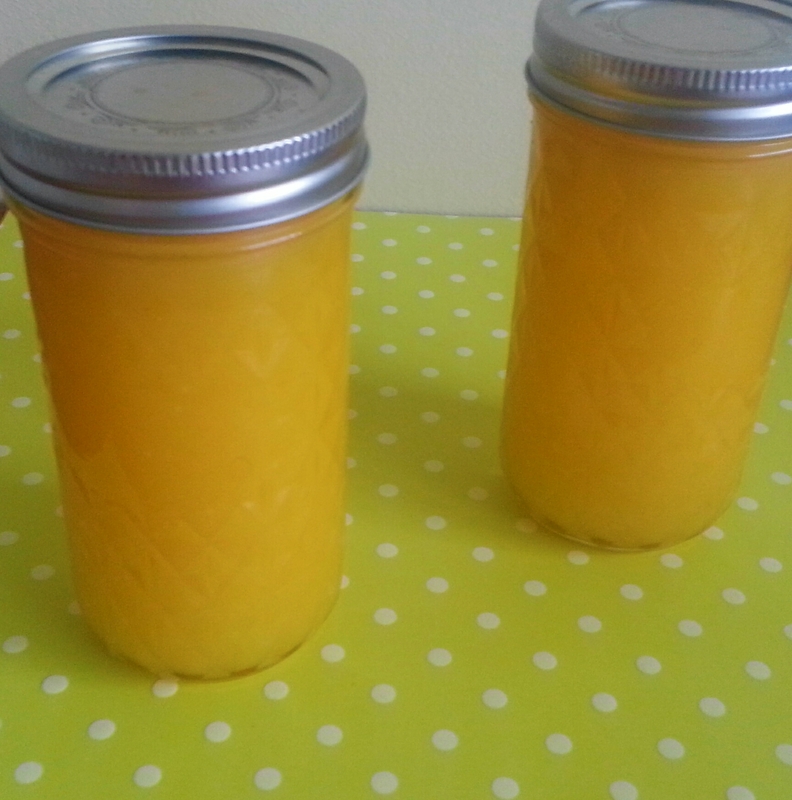 Because lemon curd is delicious. I ended up making a hybrid lemon and lime curd as I had lot of limes that needed using up. I struggled to find many recipes or reviews of at would happen if I added in lime, but I can happily say the end result was brilliant! Now I need to figure out what to make to use up all of the curd, before I eat it all out of the jar. Any suggestions let me know in the comments! Melt butter, sugar, juice and zest if using. once dissolved, beat in eggs cooking and stirring until thick. sieve and jar. 2kg apples (or other fruit), 500g chopped onion, 1 cup raisins/currants, 1 cove garlic, 1 cup chopped dates, 3 cups sugar (brown), malt vinegar, salt, pepper, cloves, ginger. Put everything into a pan, cover with vinegar, cook until soft, stir in sugar, boil until jam-like.